Knowledge, they say, is power. And the Consulate in the cities of Illyriad organises the diplomatic units who gather that knowledge. 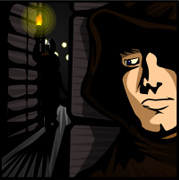 Spies can be sent out to investigate neighbouring towns, and Scouts will report back on enemy garrisons and camps. Are your neighbours building huge military forces? Are their towns full of thieves? How strong are the magics defending their settlements? 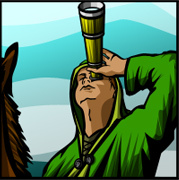 It is the reports from your Spies and Scouts which will help you to answer those questions. But there is a darker side to diplomacy, too. Your Consulate might also recruit Assassins to remove enemy commanders, Saboteurs to frustrate others' efforts to expand their settlements, or Thieves to surreptitiously loot others' storehouses.